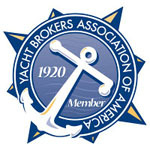 The YBAA was founded in 1920 and exists to unite yacht brokers throughout North America in order to: establish, pro mote and enforce high standards of professional competence and ethical conduct; foster public recognition of, and support for, YBAA and its member brokers; facilitate cooperation among member brokers; and, enhance each member’s success. Driven by a clear need for uniform sailing teaching standards and increased access to sailing activities, the American Sailing Association (ASA) has been the leader in U.S. sailing education for nearly two decades. with the U.S. Coast Guard Auxiliary which now uses our book, Sailing Fundamentals by Gary Jobson. We were instrumental in establishing national sailing education standards through our work on the National Association of State Boating Law Administrator’s Education Committee. 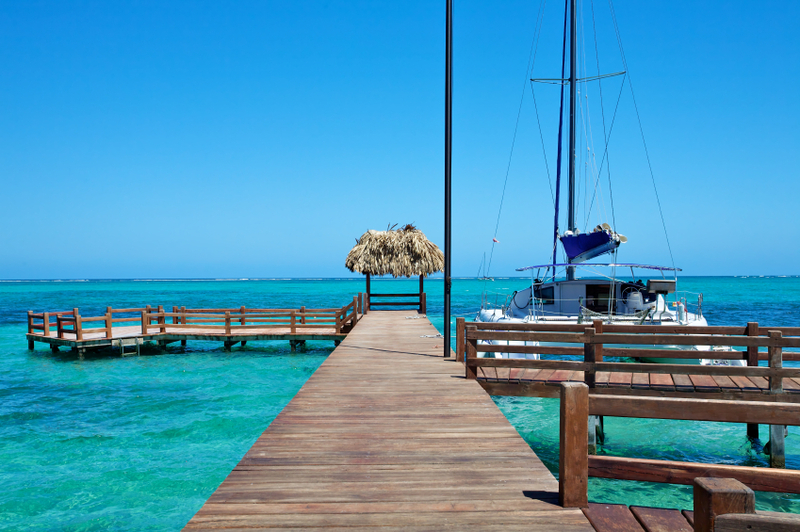 With a mission to grow the sailing market, Sail America plays a vital role for all companies that provide sailing-related products and services. Sail American is committed to supporting the sailing industry. With a continued presence at the US boat shows, Sail America assists its members to better manage their businesses through their ongoing educational initiatives including the recently held Sailing Industry Conference. Sail America continues to introduce new people to sailing through their successful Discover Sailing program, and they keep their current members informed through regular communications and by providing access to free market research reports including the State of the Sailing Industry report, used-boat sales data, participating studies and NMMA’s Boating Statistical Abstract. 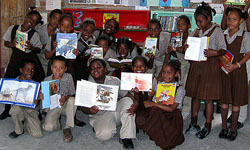 Over the past three years, Hands Across the Sea’s Caribbean Literacy and School Support (CLASS) program has shipped over 50,900 books and 88 boxes of art supplies and teaching resources to 12,750 students at 52 schools, and eight libraries and community reading programs in seven English-speaking Eastern Caribbean countries. Hands acquires books from private donors, from school community service groups, and by buying them new through various sources and “nearly new” at Friends of the Library sales throughout New England. The books are sorted and packed by volunteers and shipped via our generous Hands corporate supporters, AIT Worldwide and Tropical Shipping, to school principals in the Caribbean. Working directly with local teachers, school principals, U.S. Peace Corps Volunteers, local NGOs and community leaders, Hands Across the Sea is helping to promote literacy, classrooms that are more conducive to learning, and the opportunity to explore art in under-resourced Caribbean villages — which often lie just over the fence from four-star hotels and resorts. To make sure that the books and teaching supplies have reached their Caribbean destinations and are being properly utilized, Hands Across the Sea co-founders T.L. and Harriet Linskey visit recipient schools and communities from December through May. The visits give Hands the opportunity to work on school improvement projects and to enlist cruising sailor volunteers to support local communities. In addition to books and resources, Hands has supplied classrooms with special “reading corners,” bookshelves for classroom libraries, and most recently built a literacy center and refurbished the school library in an underserved secondary school on the island of Dominica. We are rewarded by group hugs and smiling children and teachers who are thrilled to have high-quality, near-new books! The Cadence Cycling Foundation is a non-profit regional foundation that helpsunderserved kids in Philadelphia, New Jersey and Delaware learn important life skills that can be gained through cycling. By helping kids gain opportunities through cycling, more than 130 kids have participated in this unique program that teaches kids about leadership, teamwork, nutrition and even physics through cycling. The Cadence Cycling Foundation strives to help Philadelphia, Camden, and Delaware youth between the ages of 9 and 18 discover the possibilities that the sport of cycling and now triathlon have to offer. The Foundations mentors and coaches work with participants to develop both physically and academically – both on the road and in the classroom. 5 Oceans Marine Group annually supports an entire team of Cadence Kids. 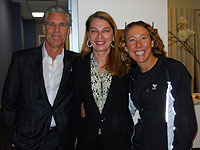 5 Oceans Founder Phillip Berman’s wife, Anne Gordon, is the Chairman of the Board of the Foundation and active in civic institutions in Philadelphia. 5 Oceans Marine Group founder received his Masters Degree in the History of Religion at Harvard and supports scholarship programs at the Harvard Divinity School. Because of this rich tradition, 5 Oceans Marine Group is a proud supporter of The Philadelphia Orchestra.